DARJEELING: Gorkha Janmukti Morcha (GJM) General Secretary Roshan Giri has alleged that West Bengal Police ransacked his residence around midnight on Wednesday. "Around 12.45 a.m., police broke open the door and vandalised my house. They took away my computer, two printers and a suitcase of documents," Giri said. Meanwhile, a Darjeeling court on Wednesday issued a proclamation order against GJM chief Bimal Gurung and five others, including Roshan Giri, in connection with the June 8 incident in Darjeeling. On June 8, the day Chief Minister Mamata Banerjee held her cabinet meeting in Darjeeling, GJM workers went on rampage demanding a separate state of Gorkhaland. They indulged in arson and pelted stones at police, injuring 15 in the violence that erupted near Bhanu Bhawan on the tourist hub Mall Road, that was virtually taken over by the GJM workers. The Gorkhaland agitation was withdrawn after 104 days. In a recent development, Amitava Malik, a Sub Inspector of West Bengal Police, was killed and four policemen were injured in a gun battle between security forces and the Bimal Gurung faction of the GJM in Darjeeling's Lepcha Bustee near the Sikkim border. Through police failed to get hold of GJM chief Gurung, they arrested three persons and seized a large cache of arms and ammunition from the GJM camp. 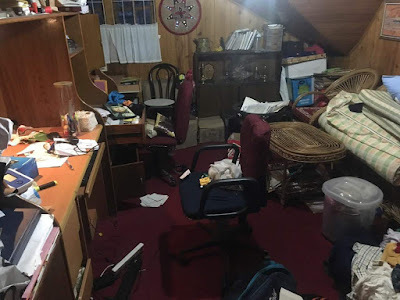 Gorkha Janmukti Morcha (GJM) General Secretary Roshan Giri has alleged that West Bengal Police ransacked his residence around midnight on Wednesday.